Far back in the swirling mists of time, back in the seventh decade of the past century—well, to be specific it was in 1966 and I needed a few more college credits to add to the motley collection I had amassed over the prior nine years. I was a member of the United States armed forces at the time, not necessarily gainfully employed—military pay was miserly when compared to today’s pay rates. My wife and I were sharing—not equally but sharing—the responsibilities involved in raising a young family of three girls and a miniature Chihuahua, aged twelve, eight, four and one year respectively. 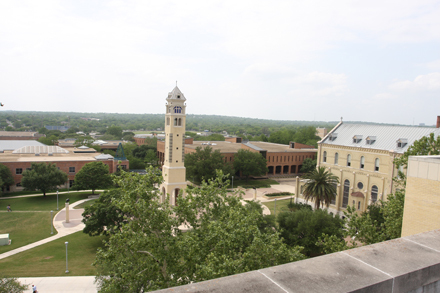 That didn’t leave much time for study, but spurred on by my desire for a bona fide college degree, I enrolled in night school at St. Mary’s University in San Antonio, Texas. I had almost enough college credits to transfer my hours to the Municipal University of Omaha in Omaha, Nebraska in order to earn a baccalaureate. I only needed a few more hours in general education, and at that time I had more than a passing interest in religion, so in my search for truth I enrolled in several courses dealing with religion. My final class at St. Mary’s was a study of early Greek philosophy and ancient Greek philosophers. Successful completion of that final course with its three hours of credit would allow me to transfer my hours to Omaha under the auspices of the military services’ Bootstrap program. Remember my statement that working full-time and helping maintain a household and raising three girls and a Chihuahua was a hindrance to my studies? I did not do well in the philosophy class, and that was reflected by my final grade, a grade based only on the final test for that subject in that semester. No credit was given for attendance, dress or attitude, class participation or good looks—not that such credit would have helped me—I just thought it was worth mentioning. On second thought I am convinced that extra credit was given in that class, but was restricted to the mini-skirted girls that monopolized the front row seats, habitually—nay, constantly—crossing and uncrossing their legs. However, I will reserve that topic for a future Word Press post—stay tuned! The test consisted of four essay questions, to only one of which—number four—I penned a scholarly answer and was given the full 25 points allowed for each question. As for the first three questions, my blue test booklet showed only the numbers and that little black dot—the period—that followed each number. If you guessed my final number grade for the course as 25 you would be correct, and if you guessed my final letter grade as an F, you would be wrong. The priest that taught the class quite generously awarded me a D for the class, a grade that carried weight and could count toward a degree from St. Mary’s University. That evening I asked the instructor for a private meeting, and we stayed in the classroom after the other students left. I explained the predicament in which the D placed me, and he told me that it could be used at St. Mary’s, but I explained that even if it could be transferred, Omaha would not accept it. I did not shed any tears during my private session with the priest, but I did allow my voice to waver and crack several times—I know I created a pitiful spectacle, but hey, I was desperate. And it worked. He told me to study industriously and return to his classroom the following week on an evening that he had no class. I spent most of the next week studying the material and writing notes on small scraps of paper. Yes, they were cheat notes—I said I was desperate, right? The rest of this story will be mercifully brief. I found an empty classroom, entered and closed the door behind me so I would not be distracted by hallway noises, and also with the hope that I would be alerted should the door be opened while I was cheating on the test. And now, just one more short paragraph and you, my readers, will be free to search for greener pastures of literature. I know full well that the final paragraph will require readers to suspend disbelief, but so be it—as Bill Clinton might say, It is what it is. I removed not one cheat note from my stuffed coat pockets—not one. I had worked so hard to identify test material to put on cheat notes that I knew the material by rote. I never knew the actual point grade given, but my D was upgraded to a C that was immediately transferred to Omaha’s municipal university, an institute of higher learning that graduated me in the spring of 1968, the last class to be graduated before the university became UNO, the University of Nebraska at Omaha. Postscript: Please note that I said the Municipal University of Omaha graduated me, not that I graduated the University of Omaha. One cannot graduate a university, no matter how mightily one strives—only universities have the right and the privilege to graduate. 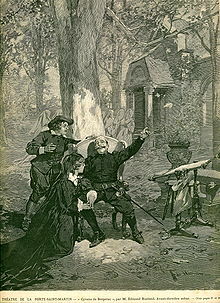 Yes, I am aware of the common usage of the verb phrase to graduate, but I steadfastly refuse the common usage, electing instead to abuse the words of Cyrano de Bergerac as given voice by Edmond Rostand in his 1897 play—like the mighty oak I stand, not tall but alone—or something similar to that. I awoke this morning at 2:56, a time not unusual for me. Normally when I awaken I am fully alert and ready to arise, and this morning was no exception. Immediately after awakening I heard six loud “pops,” the sound of gunfire. No, I did not confuse the sound of firecrackers with gunfire (today is April 6, not July 4), nor did I confuse the sound of auto exhaust backfire with gunfire. It was gunfire. I am very familiar with the sound, a familiarity developed during 22 years of military service including combat tours in the Korean “Conflict” (1950-1952) and the Viet Nam War (1969-1970), and another 26 years of service as a federal law-enforcement officer. This morning at 2:56 I heard five “pops” in quick succession, then a pause and then a final “pop.” The sounds came from behind me and to my left, placing their origin in the western portion of the up-scale apartment complex behind my home. The gunfire was not followed by a motor being gunned and the sound of screeching tires, so it wasn’t one of San Antonio’s frequent drive-by shootings. Drive-by incidents in apartment complexes are unusual (I don’t recall any in San Antonio) primarily because of the difficulty in executing the numerous high-speed turns required to successfully exit the complex with its crowded and crooked thorough-fares. Yep, progress has come to North Central San Antonio. Night-time gunfire is common in many neighborhoods in other sections of the city, especially on the near south-side, near east-side and near west-side—sometimes the gunfire comes from private-party goers over-celebrating, or from disputes between individuals but many, perhaps most, incidents are the result of drive-by shootings. Some families in such areas refrain from sleeping in rooms which front the street, and some even refrain from spending too much time in such rooms at other times, even during daylight hours. Yep, progress has come to the North Central section of San Antonio. At the risk of being politically incorrect and fully realizing that censure may follow, I attribute this particular “progress,” at least partially, to such factors as Hurricane Katrina (people displaced by the disaster and relocated to San Antonio) and to the migration of persons from the inner city to outer sections of the city. Cities grow in concentric circles—newcomers initially are drawn to the inner city, then expand outward as economic conditions permit. FYI, a civics professor taught me the “concentric circle theory of city growth” in a course I took while attending the Municipal University of Omaha. I was somewhere in the middle of the last class to graduate (1968) before the city college became UNO (University of Nebraska at Omaha).